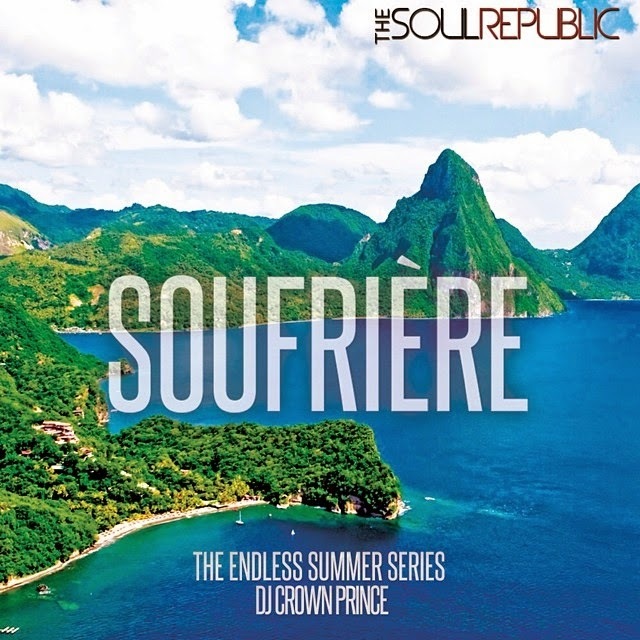 The Endless Summer Series by DJ Crown Prince continues with Episode 2 "Soufrière"
This podcast is named and uses a picture of Soufrière, a town on the West coast of my island, Saint Lucia. Seen in the upper right hand corner of the above picture are The Pitons, two gigantic pyramid shaped volcanic plugs which rise from the sapphire blue waters of the Caribbean Sea. The peaks are located south of Soufrière and are a UNESCO World Heritage site. Even Oprah Winfrey has mentioned in Oprah Magazine of the five things you must do in a lifetime, a visit to the Pitons is number one. DJ Crown Prince is a West Indian DJ who now lives and works in Dubai, United Arab Emirates. He stirs my emotions as he shares why he named his latest podcast Soufrière, "I chose the name for 3 reasons. 1) Everyone knows that I LOVE St. Lucia. lol 2) My mission continues with spreading the love of our region to everyone from natives to the person on the other side of the world who have no idea of our existence 3) As part of the summer series of mixes I felt that this mix with it's funky feel good remixes and singles made my mind go to my favorite part of the summer... Being in a boat with those majestic Pitons in front of me." I think it's time I head home after a 2 year long hiatus.